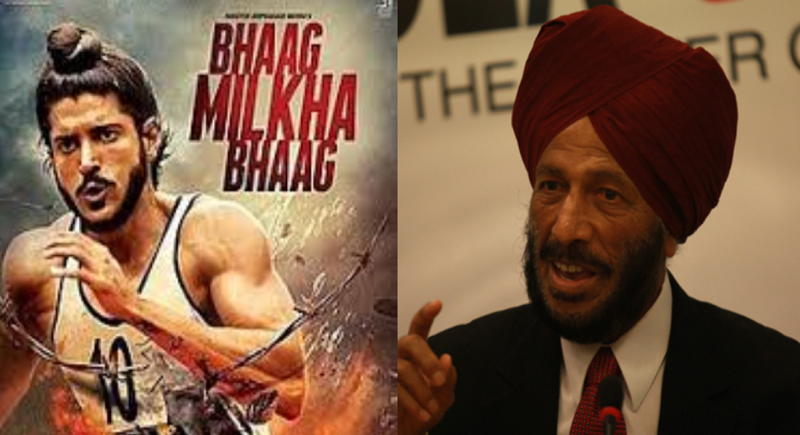 ﻿ News Bharati - Bhaag Milkha Bhaag.. now Milkha to run across China..! News Bharati - Bhaag Milkha Bhaag.. now Milkha to run across China..! Bhaag Milkha Bhaag.. now Milkha to run across China..! New Delhi, January 23: Boosting the cultural ties with India , the Chinese have decided to showcase some Indian best releases in the plate of the Chinese audiences. Spreading the Bollywood fever, a biographical film on the life of Olympian Milkha Singh ‘Bhaag Milkha Bhaag’ is scheduled to screen with chinese subtitles on January month end at Swami Vivekanand Culture Centre of the Indian Embassy aligned there. Directed by Rakeysh Omprakash Mehra from a script written by Prasoon Joshi, the story revolves around the life of Milkha Singh, an Indian athlete who was a national champion runner and an Olympian. It stars Farhan Akhtar in the titular role with Sonam kapoor, Divya Dutta, Meesha Shafi, Pavan Malhotra and Art Malik in supporting roles. Made on a budget of ₹300 million, the film released on 12 July 2013 and gathered a positive response from critics and audiences alike. It performed very well at the box office, eventually being declared a super hit domestically and hit overseas. Bhaag Milkha Bhaag is thesixth highest grossing 2013 bollywood film worldwide worldwide and became the 21st film to gross ₹1 billion (US$14 million). Singh and his daughter, Sonia Sanwalka, co-wrote his autobiography, titled The Race of My Life. Singh sold the film rights for a single rupee and inserted a clause stating that a share of the profits would be given to the Milkha Singh Charitable Trust. The Trust was founded in 2003 with the aim of assisting poor and needy sportspeople. Swami Vivekananda Cultural Centreof Embassy of India, Beijing runs Music, Dance and Yoga classes and regularly organizes a variety of cultural activities to promote Indian art and culture. Every Wednesday of the last week of a month, the Culture Centre organizes screening of an Indian movie. In recent years, the Chinese audience has hugely appreciated Indian movies. The Movie of the Month programme has been successful in bringing together movie enthusiasts among Chinese public to appreciate different genres of Indian cinema. Indian Bollywood movies were popular in China in the 1960s and 1970s and the popularity is being rekindled in recent times again. India and China have entered into an agreement on co-production of movies, the first of which based on the life of the monk Xuan Zang hit the theaters in 2016. Recently many Bollywood movies like Dangal, Secret Superstar, BajrangiBhaijan, Hindi Medium, Toilet – EkPrem Katha have become super hit with the Chinese audience.